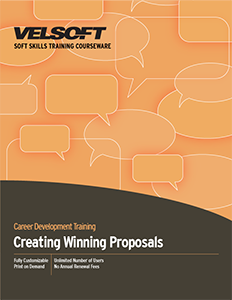 Seeing is Believing This sample manual to teach Creating Winning Proposals is in MS Word format. Trainers love how easy our training materials are to use. You can customize every aspect of these courseware materials to suit your audience each time you train. Download your free sample today!